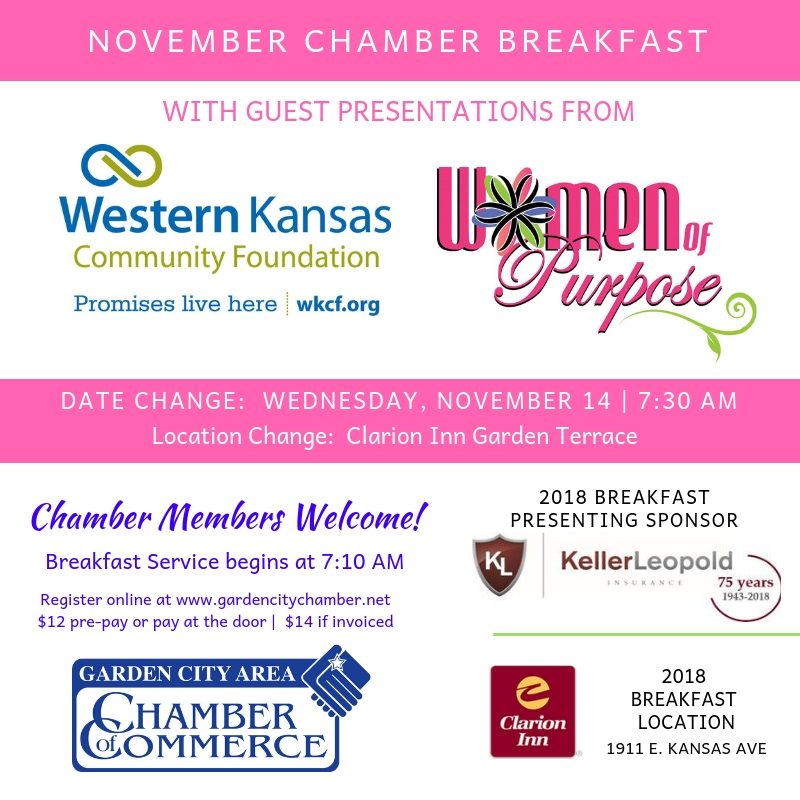 Join the Chamber on Wednesday, November 14th as we enjoy presentations from the Western Kansas Community Foundation and the Women of Purpose. Please note the November Chamber Breakfast has moved up one week due to the Thanksgiving holiday. The breakfast location will also move to the Garden Terrace area.